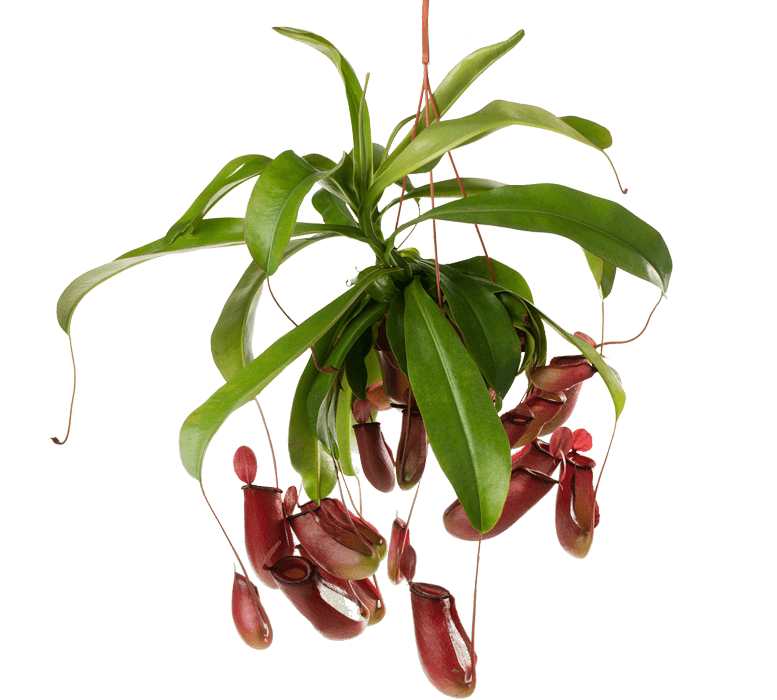 These tropical plants can also be found in the Netherlands and are grown in hot and humid greenhouses around the country. Monkey Jars spend two years in a greenhouse before they are available in shops. They can easily survive and thrive in the average living room, especially if you give them a generous watering. Vegetarian? I prefer a tasty fly or a yummy bug! My name? That’s because monkeys like to drink from my pitchers! Rainy in the Netherlands? My home country of Borneo has twice as much rainfall as that! 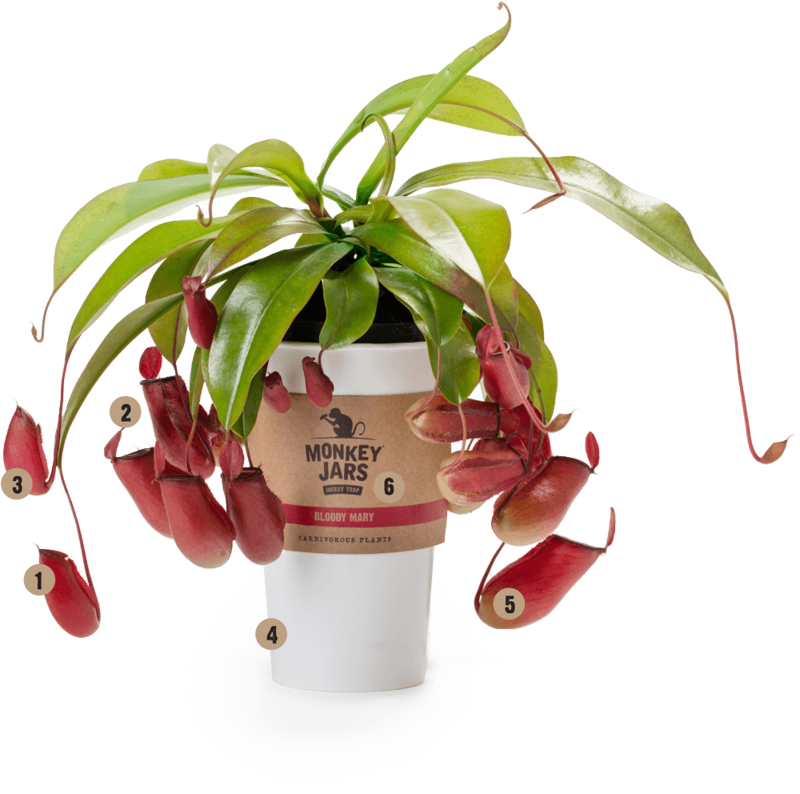 All of our Monkey Jars come from JM Plants. 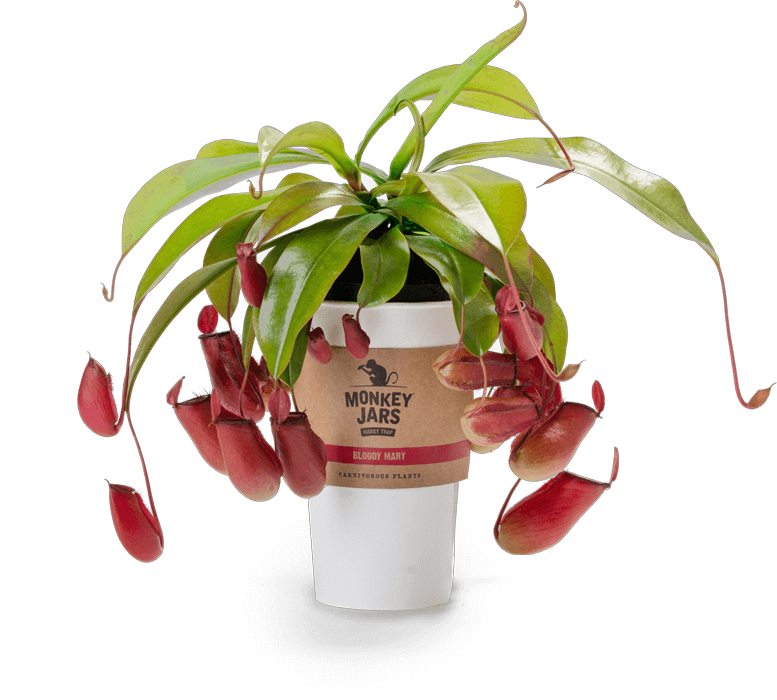 JM Plants has been growing Nepenthes for more than fifteen years now and has become quite the expert. 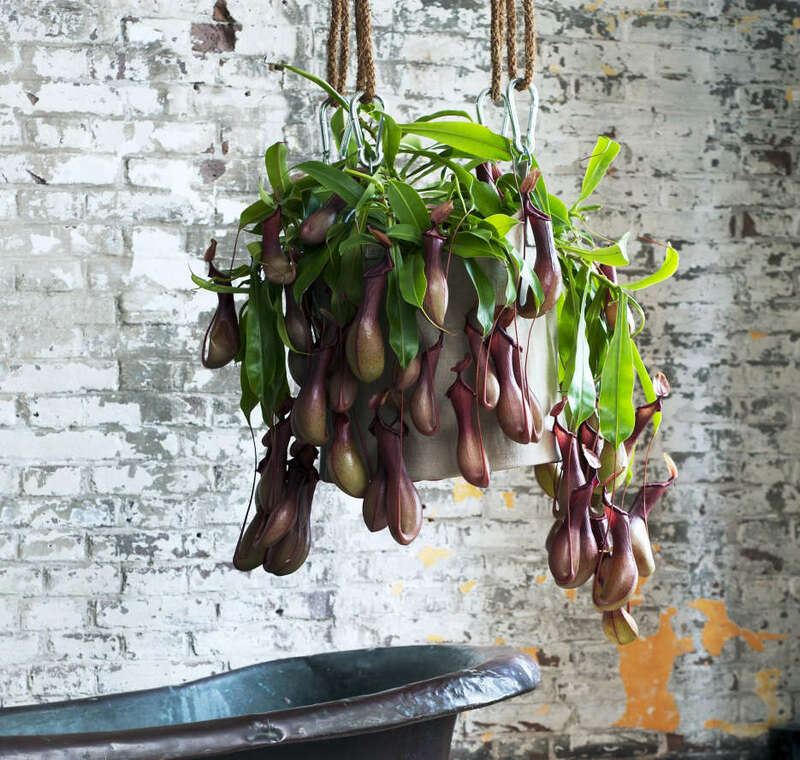 In addition to carnivorous plants, JM Plants also specializes in other big green plants.